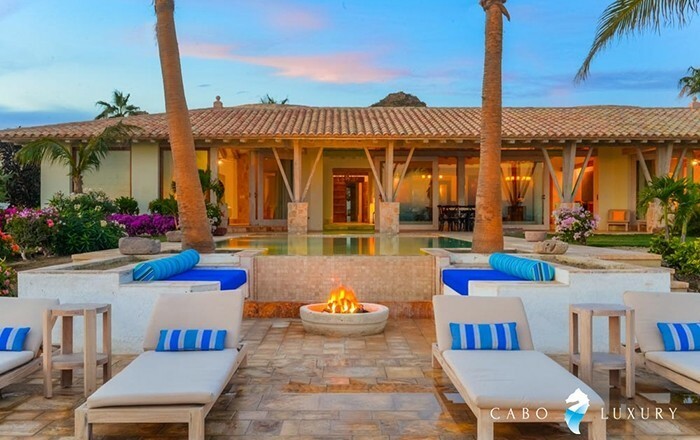 Vacation in this beautiful, newly completed, 6 bedroom home located in the private gated community of The Pedregal in Cabo San Lucas. This 8500 sq. ft. beautifully appointed home has 6 bedrooms, 8 1/2 baths and will sleep 12 comfortably. Casa Piedra has a new gym, two firepits, two spas, pool table, separate casita, two full kitchens, Dish Network, Wii game system and separate climate control in each bedroom. Enjoy a dip in the pool or spa with magnificent views of the Pacific Ocean and spectacular sunsets. Luxurious Casa Piedra can be your home away from home. With all the amenities you won’t want to leave. Contact us today to book this beautiful home.